New Android devices, like the OnePlus 5T, are offering Face Unlock right out the box, and most new launches are also expected to ship with the feature going forward. Xiaomi also jumped on the Face Unlock bandwagon with the launch of the Redmi Note 5 Pro last month. While the device didn’t include the feature out-of-the-box, the company rolled it out through an OTA update just days after the handset went on sale. Now, the Chinese smartphone giant is bringing the feature to two of its premium smartphones, the Mi 6 and the Mi Mix 2. According to a post (translated) on Xiaomi’s official Chinese forums, the company has started rolling out a software update that will bring the in-demand feature to the two devices. In the absence of dedicated Face Unlock hardware like the iPhone X, most Android handsets currently in the market make use of the front-facing selfie-cam to identify the subject to unlock the phone, making it significantly less secure than the iPhone X’s Face ID, which uses 3D facial scanning, although, even that apparently isn’t 100% fail-safe. 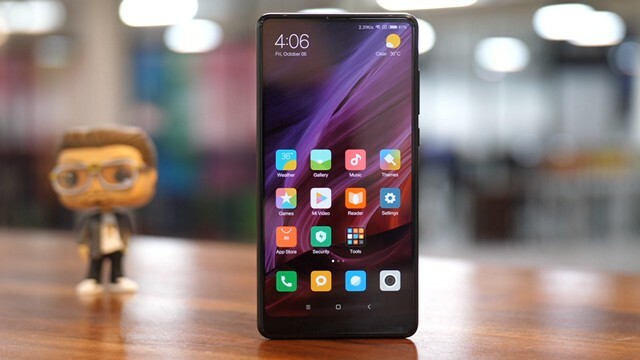 That being the case, Xiaomi is warning users to employ an additional locking mechanism, like a pattern, a passcode or fingerprint, to lock your smartphone. Either way, if you still want to give Face Unlock a go on your Mi 6 or Mi Mix 2, you’ll need to go over to Settings > Lock Screen, Password and Fingerprint > Add Face Data to get your face scanned. If you own either of the devices, let us know how the new feature is working for you, and if you feel that it’s indeed more convenient than the more traditional fingerprint unlock.